A frameless bevelled mirror with a second slightly offset mirror giving a shadow effect. Overall size.58X84cm. Shadow 3020 mirror. 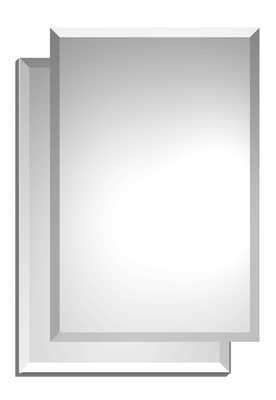 A frameless bevelled mirror with a second slightly offset mirror giving a shadow effect.